Complete your thriller-inspired costume with this fabulous V for Vendetta Mask, a must-have! 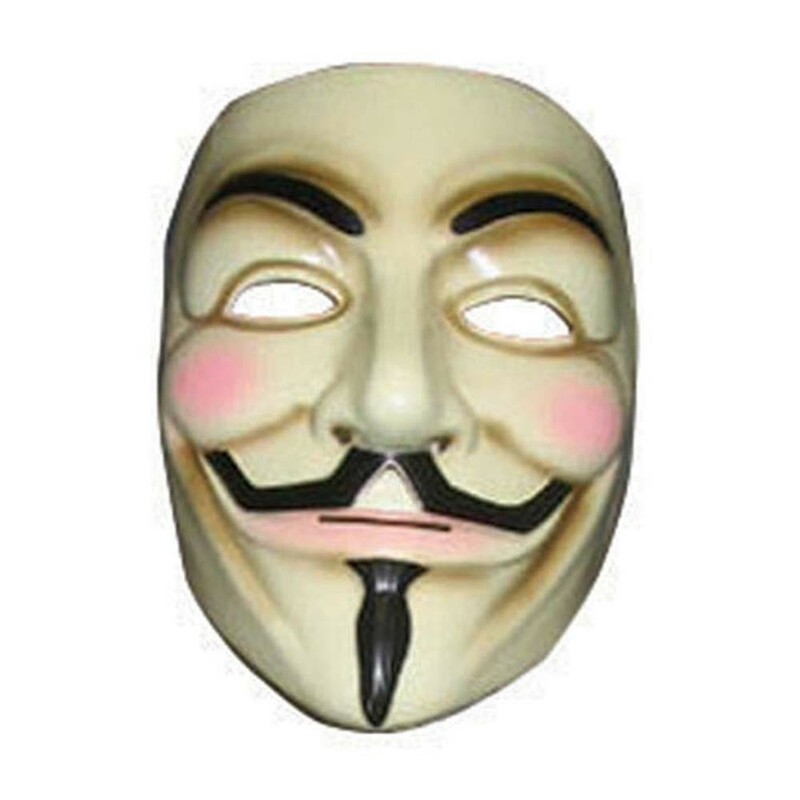 Add this essential V for Vendetta Mask to your politically themed costume for ultimate effect! The mask is a replica of the iconic mask from the 2006 film. The plastic mask has cut-out eyeholes enabling the wearer to see out, rosy red cheeks and a black moustache and beard design to perfect complete this great-value V for Vendetta Mask!